connecting personality and soul, and supporting the development of our own true free will. Voice Dialogue is a psycho-spiritual approach to consciousness and transformation that includes an in-depth study of the many selves or sub-personalities that make up the psyche. Voice Dialogue works with dreams, relationships, and body energy fields. A Voice Dialogue session opens wide the doors to your inner world giving you tremendous insights that you can apply immediately to your life. Voice Dialogue assumes that instead of being made of one unitary personality that our personality consists of many different sub-personalities. The process of Voice Dialogue is a simple but powerful method in which we talk to the different sub-personalities in order to get to know ourselves better. Just as the inner critic and inner child are real inner parts of us we also have countless other parts that are real also. These selves express themselves as a continuous stream of energy moving through us, shaping our bodies and our experience at all times. The Voice Dialogue process is gentle, safe, and grounded. It supports us in experiencing life and the fullness of who are. Deborah Sevy has 17 years of experience in psycho-spiritual approaches to consciousness. She is trained in energetic counseling, Non Violent Communication and is a graduate of the Institute of Self Recognition. 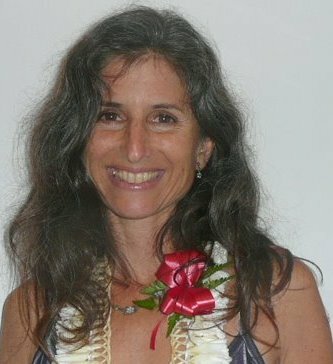 For the past three years she has immersed herself in Voice Dialogue and the Psychology of Selves, training twice weekly with Senior facilitator and teacher, Lawrence Novick PhD, and attending workshops with Martha Lou Cohen, Marsha Sheldon, Jaime Ona Pangaia, and Dr.¡¯s Hal and Sidra Stone. Deborah is also a licensed massage therapist and a professional dancer. She is committed to exploring her own inner realms and helping others to do the same. Deborah is currently attending college where she is working towards a Masters in Psychology. Individual Sessions and couples sessions offered. My fee is $40.00 an hour. Sessions are generally one to two hours long. Deborah's work helped me to explore with compassion and precision parts of myself that I habitually fight with and reject. This acceptance of myself is most precious to me, and a profound path. It is what my heart wants. Her simple, direct approach opened doors for me effortlessly, and I am grateful. Importantly, Deborah has explored her own depths in many modalities, with great sincerity. Like all genuine guides, her intimate self-understanding holds the space for others to simply be. I wanted to convey my sincere appreciation for the work we've done together. I feel you gave me tools to use and a whole new perspective through which I can better see and understand my life. I now enjoy more freedom and more choice in how I create my experience. It's amazing how quickly and easily change is facilitated with voice dialogue. You are incredibly compassionate as you work, and you don't have a personal agenda of trying to get me to see things a certain way- I like that a lot! So thanks, Deborah, and all the best to you. Deborah has a way of sorting through all I say to get to the heart of the issue. Through working with her using Voice Dialogue I have discovered that some of my ways of being were invisible to me, and yet dictated my behavior and attitudes in how I lived my life. Working with the process of Voice Dialogue has given voice and shape to parts of myself. I feel much more integrated and experience a fuller range of choices-- resulting in more aliveness and joy in my life. Deborah is gifted with a deep way of perceiving and understanding the energetic patterns and spirit of others, and has supported me in knowing and accepting more of who I truly am. I feel that voice dialogue has allowed me to recognize and honor parts of myself that previously were unseen or unloved. Working with Deborah has given me insight into myself that I would not have found in any other setting. Her unique and fun (!) approach has been instrumental in my developing understanding of who I really am (the spirit-being), and informs my expression as a human being. I am more comfortable with my self, more confident, and have befriended my "shadow", all of which makes my life more interesting and joy-full. Thanks, Deborah!